I am drawing a basic cube (see A). Then converting it to a Polygon Group. When I double click on the group it appears to rotate (see B). Super confusing to edit. You have opened the group, so I think you are revealing the native orientation of the object within the group. if you want them both to be there same, you may want to convert your Group to a new polygon group so the native orientation is horizontal. Thanks. However, I am unsure how to do that. not working. I convert, and take off what seems to be the front panel. But it takes off the right. When you create a Cube, the Z axis of the Cube is facing up, along the Scene's Y axis. 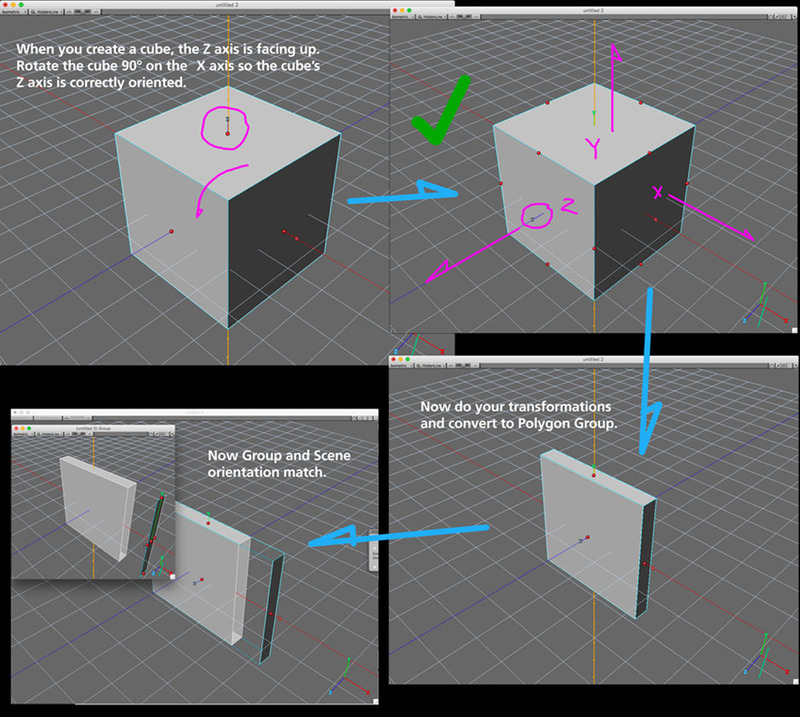 Rotate the cube 90� on it's X axis before transforming and then converting to Polygon Group. Here, I've rotated the cube 90� along its X axis, and then and scaled it on the Z axis before converting to Polygon Group.